Honey heals Canker Sores….this is no joke!!!! 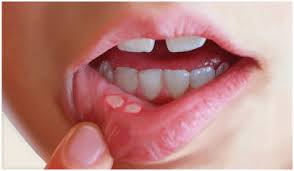 Canker sores are painful oral lesions which we in the dental profession still don’t know how they are caused. In the latest edition of Quintessence International ( an eminent Journal in the Dental profession), a study was done by a group of researchers at the prestigious Salmain Bin Abdulaziz University in Saudi Arabia where Ninety four people who suffered from Canker sores were separated ( at random ) into three groups. The three groups were to be treated with the following products. The first group were treated with honey (yes you read it right, honey!!). The second group used a prescribed oral corticosteroid cream and the third group were given a common over-the-counter product (found at most Chemists) that forms a protective paste to cover sores/ulcers while healing. The Patients were then asked to apply these prescribed products three times daily for as long as it took to heal or have relief from pain. The results were as follows. In just four days, all sores in the honey group had completely disappeared. For the other two groups, it took at least eight days before even reaching the pain-free state. Honey has been well documented about its potential healing powers. At the University of Waikato (in New Zealand) a Honey Research Unit has been set up by Peter Molan. He says that Honey’s potency can be seen in burns and scalds as it takes away the pain within ten minutes. Redness and blistering do not develop. According to Molan, honey has potent anti-bacterial qualities and has also been shown to promote growth of tissues in wound healing. So, if you suffer from Canker sores, then next time it affects you, reach for the honey in your pantry and dab it on and kiss those Canker sores goodbye! Oh the sweetness of a victory!